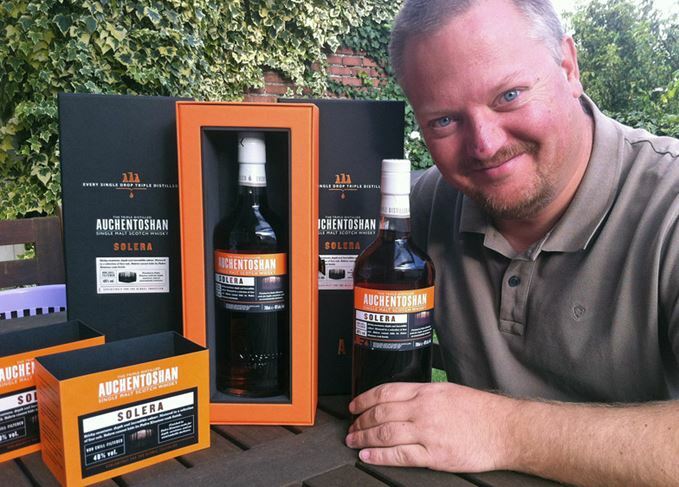 Belgian whisky vlogger Mark ‘Toshan Man’ Dermul collects bottles as much for his own enjoyment as for sharing with others. He explains to Angus MacRaild his pragmatic attitude towards collecting, and how his love for Star Wars inspired a whisky project. Mark Dermul inhabits two spheres of classical geekdom: whisky and Star Wars. Although, if you speak to him or watch his ‘Mark’s Whisky Ramblings’ vlogs on YouTube, it’s evident he has sufficient enthusiasm to support both. He is one of those emerging breeds of serious whisky lover who has started to make their passion a profession. He works part-time for ING Bank and the rest of the time as a whisky specialist at the auction site Catawiki. Add into the mix his vlogging, blogging and many tastings, and what emerges is a seriously committed whisky enthusiast. ‘Truth be told, I’m not sure I remember (how I first got into whisky),’ he says. ‘It’s been a while, but I do remember being dragged along to a whisky tasting some 20-odd years ago. Then early this millennium I got that faithful bottle of Auchentoshan 12 for my birthday from my colleagues.’ Dermul is affectionately known as the ‘Toshan Man’, due to his passion for the distillery. Auchentoshan was the first distillery Dermul visited and his enthusiasm for it has never waned. Although he also ‘collects’ many whiskies for his own drinking, he also includes them in the numerous tastings he organises. The more casual side of Dermul’s whisky life is his vlogging, which remains very much a hobby and began as a challenge from a friend in Glasgow. ‘It actually started as a joke,’ he explains. ‘A challenge of sorts by a whisky friend in Glasgow. Obviously, I won. The response from the aficionados around the world is very heart-warming and inspires me to keep going. And let’s face it: it’s very good fun. ‘I especially enjoy making these “on location” so to speak. I do try to keep them light-hearted and do not take myself seriously at all. Neither should anyone else.’ There is indeed a homespun, off-the-cuff charm about Dermul’s filmed tasting reports, which lends them an edge of authenticity. Being so immersed in whisky can make more pointed questions tricky. When asked about some of his preferred go-to drams, Dermul is at pains to narrow the list down from ‘endless’. Dermul encounters similar issues trying to pinpoint his best whisky experience or memory. He lists off experiences as diverse as meeting Rachel Barrie, tasting the Glen Garioch 1971 Samaroli Sherry Wood and restoring an original Star Wars set in Tunisia [pictured above]. In the end he settles on ‘the bonding with likeminded people with the same kind of passion for the golden nectar, some of which have become close friends and thus enrich my life in ways that go way beyond any dram’. A thread that runs through much of what Dermul talks about, in relation to his collection and his favourite bottles, is a pair of 1957 vintage, official Auchentoshan 50-year-olds. The bottles, which he was only able to acquire at the time by sharing the financial burden with a friend temporarily, clearly form the pride and joy of his collection. True to his word about planning to open and share all his bottles eventually, Dermul adds to his musings on the 1957 Auchentoshan: ‘It will hurt a bit when I open up one of these for my 50th birthday next year. ‘Who knows, I might be able to find another one at auction before then – fingers crossed. But I truly long to try that one again. If anyone reading this is willing and able to share a sample, get in touch.’ It’s a sentiment that speaks to a robust love of whisky, one arguably forged in what is rapidly being recognised as something of a bygone, less complicated age of whisky appreciation.